What type of Central Texas commuter are you? Rideshare apps – I’m really into making new friends! Bike Lanes – Go green, baby! Favor – I can get breakfast tacos delivered to my door. Does that count as a mobility solution? Watching movies at home avoiding more time in my car. On a boat on Lake Travis. Taking the bus to brunch after my night out on Rainey Street. Torchy’s – No matter which part of town I’m heading to, I can always find one! Does the original Whole Foods count? Really any place that has spots to park my bike. The Oasis – a classic Texas spot where I can bring large groups of friends! Plus, I can tell you the fastest way to get there. Sway – I’m all about the valet parking. Extra jam time in my car. Austin. But I still love it! A reserved parking spot at the front of my building. Breakfast tacos since I never have time to grab them before traffic gets bad. Free yoga to complement me riding my bike to work. Ping pong to help me meet more potential carpool mates. The sound of the wind! My friends’ funny stories from the day! I love carpooling. Whatever’s on the radio. Windows down, speakers loud! Deep breathing podcasts to get me through the misery that is Austin traffic. Multiple back seats for all my friends. The steering wheel – I love/need control. Express Lanes. I can’t afford to be late! Patience. I know it will get better with time! Increased public transportation! We’re all in this together. You have cedar fever! And not the bad kind. You care about our local environment and our impact on its future. Props to you for being eco-friendly – we have more in common than you think! In fact, all our roadways prioritize environmental sustainability above and beyond the federal requirements. For example, did you know we partner with organizations like TreeFolks to help expand the urban tree canopy in Austin? We also decrease air pollutants through our work on innovative and free-flowing mobility solutions such as express lanes and toll roads. That’s right, stop-and-go signaled roads cause more pollution than you think! Learn more about how we prioritize environmental responsibility at mobilityauthority.com. Leave The Domain at 5pm and get to Broken Spoke by 5:45pm for dance class? Challenge accepted. You’re a master commuter and know Central Texas roads like the back of your hand. Want more tips to beat out the crowd? Learn about our partnership with Metropia to help you get places faster. We recognize your time is valuable, and we’re working towards an effective transportation network that consistently delivers reliable connections, reduced commute times, and promotes enhanced transit options. Learn how we’re working towards these goals at mobilityauthority.com. Let’s be real, you’re team captain of your after-work volleyball team and had no problem when Uber and Lyft left town. You’re all about the carpool game, and we at the Mobility Authority want to thank you. 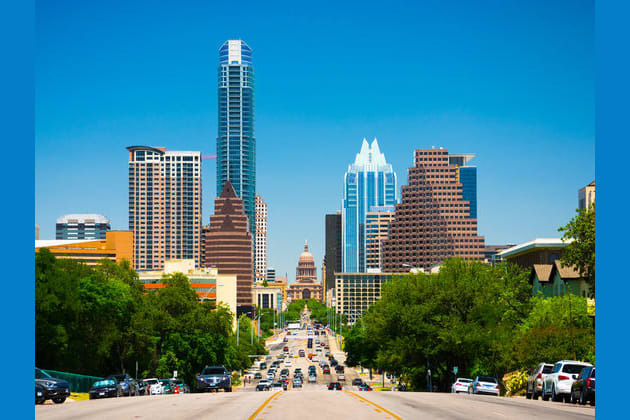 We recognize the rapid growth of our region has led to the dispersion of affordable housing options farther and farther away from Austin’s downtown core, increasing the distances we must travel. Know we work every day to find and deliver solutions that address the challenges of accessing jobs, family, healthcare and social activities. One of our key partners is Capital Metro, and we’re collaborating together on ways to increase use of public transit, such as offering toll-free travel for express buses and registered van pools in the MoPac Express Lane. Want additional carpool tips? Visit mobilityauthority.com. You’re happier than Willie Nelson on the Fourth of July! Despite major growth, you love Central Texas and are here to stay. Rest assured, we are putting your hometown at the top of our priority list. Did you know, the revenue we generate is reinvested locally in future infrastructure for Central Texas? That includes non-tolled roadway capacity and bicycle and pedestrian accommodations which are incorporated into all of our projects. Discover the mobility solutions we’re working on and how they will support Central Texas for years to come at mobilityauthority.com. We’re happy to have you along for the ride! Do you live and commute in Central Texas? Take our quiz to determine which type of CTX commuter you are.